It seems that USDCHF is forming the reversal pattern from the previous low at 0.95755 climbing the ascendant channel; however it is not showing any upward momentum so the pair may continue its fall. 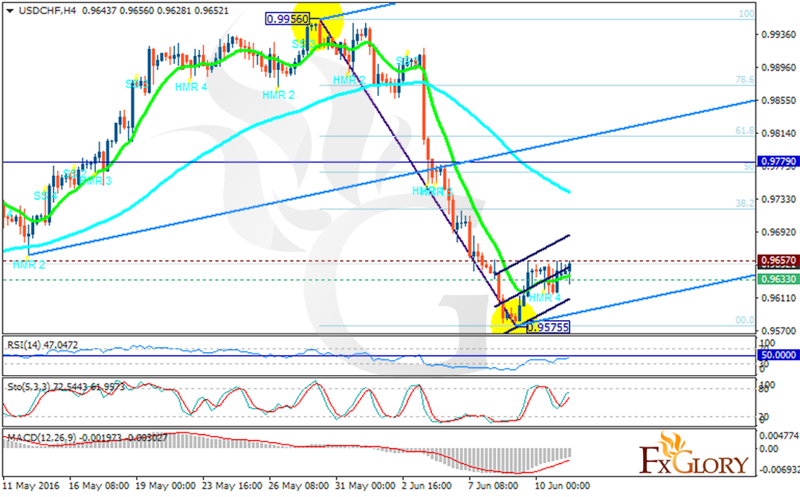 The support lies at 0.96330 with resistance at 0.96570 which both lines are below the monthly pivot point at 0.97790. The EMA of 10 is moving in a horizontal line and it is below the EMA of 75. The MACD indicator is in negative territory, the RSI is staying in neutral area around 50 level and the Stochastic is showing upward movement. The resistance level breakout can be a good sign for the reversal pattern but if the pair starts falling again, it will target 0.9458.